How many times have you tried to buy plastic molds and injection parts and found yourself getting a pile of scrap iron and plastic bulk? What’s the very first image that pops into your head any time you visualize custom plastic mold and plastic injection molding in China? A big China manufacturing plant with dirty assembly lines in some remote lands, producing low-quality mass-manufactured use-and-throw items? Or do you reckon about perfectly manufactured plastic molds and molded parts, designed by professionals possessing a substantial practical knowledge in the plastic field? We are pride with concentrating on the aforementioned. We ,Topworks Plastic Mold Company,are a China based company dedicated to offering Custom Made Plastic Design,Plastic Mold and Plastic Molding Services. We inject over 10 years of experience into every project we take on, and our passionate, qualified and skilled group of professionals is really enthusiastic about plastic injection molding and your requirements. We can manufacture complete item or just components, regularly or just one-time purchases, and offer a customized assemblage, stamping and packing service when it is necessary. Our team members are skilled in their individual areas of design, mold building and plastic molding, thus no matter if you’re seeking a task to have complete plastic molding production or you just require a prototype trial, we can cater to your entire demands. We had been established over the mission to manufacture plastics better, which aim stays the motivation of everything we do. With the continuous improvement of the level of mold manufacturing and mold workers’ skill in China, more and more European and American companies have dropped their purchase orders to Chinese plastic mold factories. The continuous deepening of information exchanges between the two sides has greatly promoted the development of China’s mold industry. For the first time, this process of procurement in China was somewhat difficult for you. The next is the procurement process and manufacturing process for plastic molds and injection molded parts. Before you contact the plastic mold supplier, you should make some preparations(AUTOCAD drawing or samples). These preparations take time and money, but they will greatly benefit your future project development. 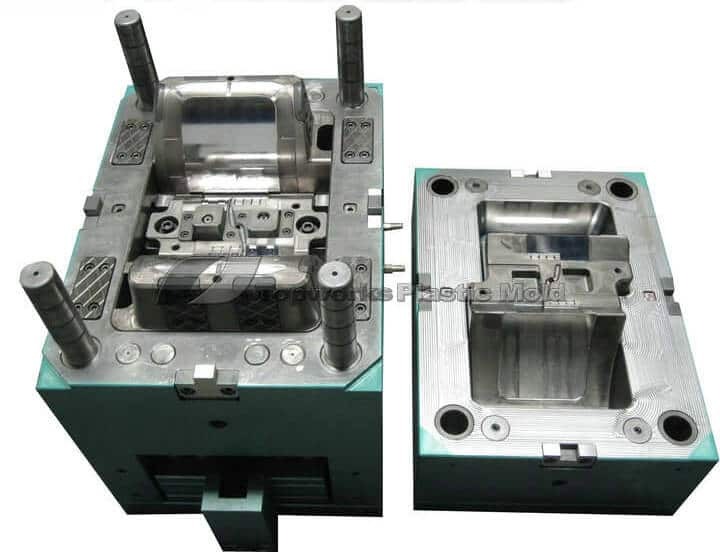 Injection molding is one of the core businesses of Topworks Plastic Molding, and Injection molding department mainly works on injection molding and secondary operation. It aims to improve production efficiency, product quality, and control production costs. It owns Exquisite molding technology, the leading mold maintenance technology, nitrogen molding technology and high-end automatic production. Topworks have injected more than 10 years experiences to assure our customers only the best and innovative tooling and plastic molding solutions of top quality. With our 4 parts assurance, Topworks is No. 1 choice for our customers who have partnered with us, because doing so come with added advantages. In this business, we have countless competitors, but what is it that has made us more prosperous and recognized in all these years? Topworks core operations are based on the innovation guarantee. To ensure the quality of the injections molds we produce meet the top-class requirement, Topworks use advanced machinery. Examples of these machines are fully automatic CMM measurement machine and the high-speed FUNAC CNC machine that has over 24000 rotation speed. The use of these machines does not only enable proficiency in production but also ensure accuracy plastic molding. Moreover, producing original, customized molds for our clients has never been an issue with the use of advanced software like SW, UG, and PRO-e. It is Topworks commitment to respond positively to the requirement and the needs of our client, and to guarantee customer satisfaction at any phase during your interaction with us; we have integrated an English-speaking team, specialized in sorting any customer issues. It is part of Topworks commitment to never compromise on offering quality because we know the importance of keeping our customers satisfied. Through this, we have been able to surpass the expectation of our customer by providing them molds that last a long lifetime. The molds we make are acceptable to customers from all field because they pass the test they are put through. 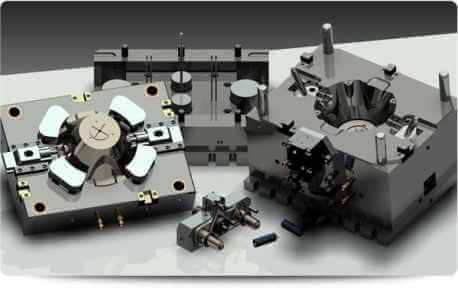 To determine any potential issues in the mold tooling system that may compromise quality, Topworks strictly controls the every plastic mold making steps: design, steel, machining, bench work… and we test the molds many times to look for any defect and guarantee good quality, long-lasting products before the plastic mold delivery. We also are an ISO 9001: 2008 quality certified plastic mold company due to our dedication to excellence performance. Indeed, Every business is seeking for a top-notch product with a reasonable price, and with the way, Topworks strategically price its products, all items offer is estimated reasonably to take into consideration the differing needs of our client. You are guaranteed to be paid off for any coins spent on our products without compromising on quality. The price with which we offer our products is unparalleled with the quality we provide. And to have competitive market prices, all our products are priced methodically. So, the truth that our quality products are available at reasonable prices is the reason why our customers choose us, instead of our competitors. It is our pride that Topworks personnel are not only well trained but also highly experienced. Our dedicated 65-member team, consists of design, manufacture, QC and sales, have the technical knowledge and expertise to recognize the standards and requirements of plastic molds. By credibility and integrity, the team works together to make sure only the best for our clients. Also, for better knowledge of the mold project, all the engineer members of our team can both write proper English and speak fluently to ensure adequate technical communication. Our team will lead you and undertake every detail on your behalf, even though you have no ideal of plastic molds making and plastic parts design. So, it will help your project go steadily and become successful. Wait no more and take a step today by contacting our friendly team, and permit us being your dependable, reputable plastic mold partner.